We visited Alaska from July 16 to 24, 2011. Although we planned early, we couldn’t start making reservations until early May because of some uncertainties in my parents’ visa application, and that turned out to be a bit late for many things. If you are planning to visit Alaska this summer, I recommend that you start looking around as soon as possible. This way you will have more choices with regard to hotels, rental cars, etc. In addition, you will have better chances to score those “coupon-only” deals if you book early. Even if you are not a typical “coupon clipper,” don’t overlook the Alaska Coupon Books. They can easily save you hundreds of dollars. The one I bought is called Alaska TourSaver , priced at $99.95 on Amazon. Despite the high price, I’m glad I bought it since the first two coupons I used already recouped the book cost. If your plans include train tours, glacier cruises, flightseeing, river rafting…your savings could quickly add up with those buy-one-get-one coupons. Some places, especially hotels, accept only a limited number of coupons per day. So again, book early if possible. The TourSaver’s website lists all the coupons in the book. You can find out beforehand if a particular activity offers a coupon, and whether there are validation or other limitations. Do not tear off the coupons just yet; many places require the entire book, with the coupon still attached, to honor the discount. Alaska Railroad, on the other hand, asked me to mail the coupons to them, which was interesting. Other than the Tour Saver, another coupon book called Northern Lights is also quite popular. Although there are overlaps, the two books do offer different coupons. Another tip, if you’re planning a trip for later in the summer, you can probably grab a lightly used coupon book off eBay for half the price. Alaska is open to tourists all year round, but obviously the majority of people go during the summer. 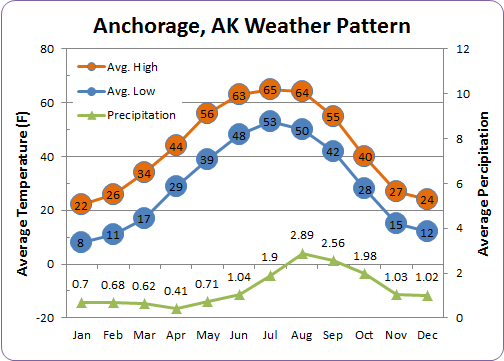 Alaska’s travel season is usually May 15 through September 15, peaking from mid-June to mid-August. Our late July trip was during the peak season, but honestly I didn’t feel over crowded at all. The sky was light nearly all night long, air was fresh and pure, temperature was surprisingly pleasant (even at night), and nature was in full bloom. If I’m travelling to Alaska again I might choose early June or late September, just to see something different, but I wouldn’t mind any month, really. 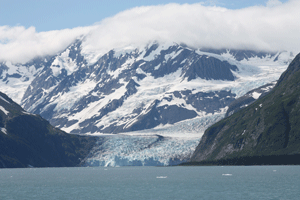 We thought about going for an Alaska cruise, which is certainly more comfortable and relaxing than a road trip. And cruise excursions do offer opportunities to further explore the inland. However, we decided to fly to Anchorage instead, especially since JetBlue just launched a non-stop flight from Long Beach to Anchorage in 2011. A DIY road trip can be more flexible and does allow a more up-close experience with Alaska, in my opinion. Being a tourism state, Alaska offers plenty of lodging options. In Anchorage, you will see luxury hotels, national chains, independent inns, and many bed-and-breakfasts scattered across the city. They are on the expensive side – roughly double the price I usually pay at similar hotels elsewhere. It is understandable, though, given that many hotels will probably only see guests one third of the time in a year. 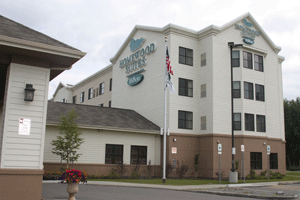 Since we prefer suites, we quickly narrowed down our choices in Anchorage and eventually booked Homewood Suites by Hilton, through Expedia.com . It was very nice with complimentary breakfast, free wifi (that actually worked), and a tiny kitchen in the room. All the hotels we looked at offered free shuttle service too. The shuttles not only pick up and drop off guests at the airport, but also go to the train station, downtown and a few other designated locations. All we had to do was to call dispatch and a shuttle usually showed up within 10 minutes. If you are also heading up to Denali, my recommendation is to stay at a Bed-and-Breakfast in Healy, a short drive from the park. I would avoid the pricey and over-crowded hotels at the park entrance. More on this later. Although a rental car gives you flexibility and convenience, you don’t necessarily need one in Anchorage. Shuttles can take you around town, and trains/motor coaches connect Anchorage to everywhere. 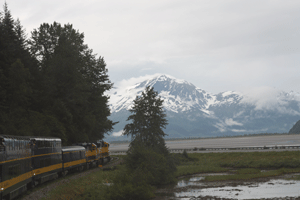 Alaska Railroad operates scenic train tours (slow but very comfortable) to Seward, Denali, Fairbanks and Spencer. The trains are narrated and will even slow down when noteworthy animals (bears, anyone?) are present. The schedule is also coordinated with many local tours, such as glacier cruises. You just have to try it! At Denali I saw an army of six RVs leaving the park together. They were apparently rentals. I thought that is a good idea too, especially if you have friends going with you. They aren’t cheap, but offer a unique experience. I’m actually thinking about giving it a shot, maybe at Yellowstone. Mosquito Repellent: We definitely heard about Alaska mosquitoes, so we brought plenty of bug repellent with us. Fortunately in the Anchorage area mosquito wasn’t a problem at all. At Denali National Park, however, we did see more than a few and the battery-powered mosquito repeller we brought helped (kids somehow didn’t like the spray-on type of repellent). The bed-and-breakfast hotel we stayed at sit deep in a wooded area, and had a pond nearby, so yes, there were plenty of mosquitoes. Binoculars: Good binoculars make glacier cruises, bird viewing and bear searching more enjoyable. I would recommend them. Some day cruises also loan binoculars to passengers if they don’t have their own. Portable GPS: If your rental car isn’t equipped with GPS, a portable one does come in handy. However, the highway system in Alaska is the easiest to navigate through compared to every other state I’ve been to. I would recommend one for the peace of mind, but you probably won’t need it much. Lots of storage for your photos and videos: I brought a laptop (primarily for this reason) and was glad I did. I had to transfer images and videos off our cameras and camcorder everyday. In the end I managed to come home with about 50GB of digital files – a lot more than I expected. Don’t worry if you forget anything; shopping is very easy in Anchorage. The Costco we visited had some huge fishing nets for sale – now that is convenient. very nice information. Great work.